I sent the following email to attorney Steve Phillips of Pincus & Currier, LLP on September 17th, 2012. I attached a photocopy of the bill I received from Rxperts Pharmacy, which was postmarked September 13th, 2012. 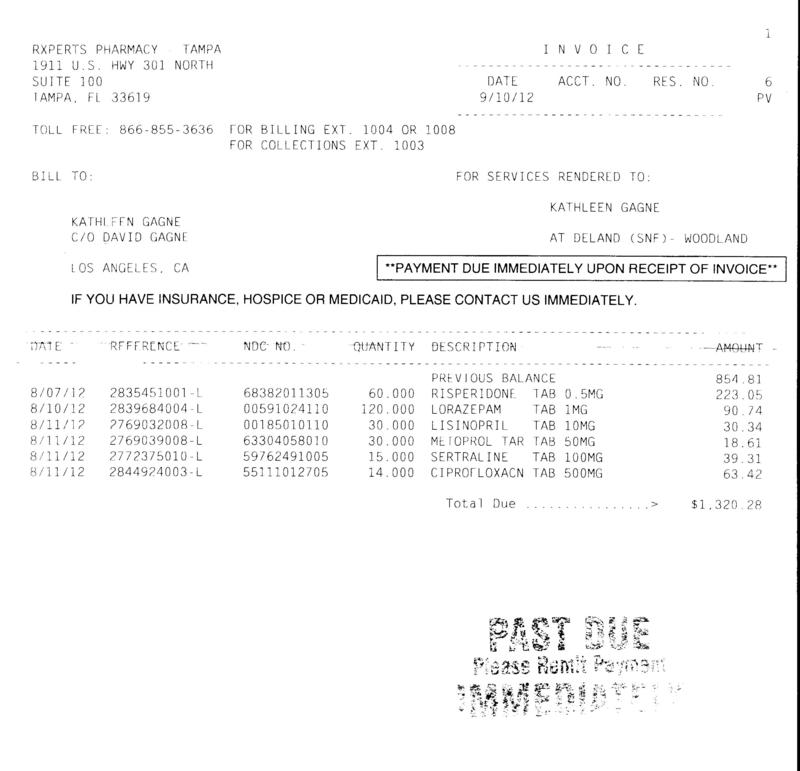 I received a bill from Rxperts Pharmacy (attached) for $1320.28. (2) I don’t know if you want to send this to Dr. Wolf, but I thought I would send a copy as it lists several other medications. PS: We still have not received my mother’s ashes.